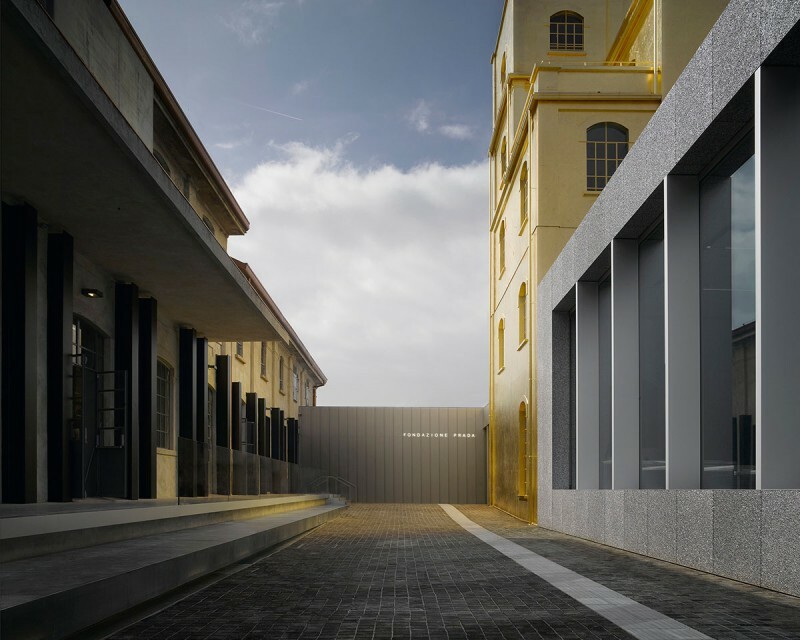 Any kind of admission to Fondazione Prada allows one free entrance to Fondazione Prada Osservatorio (during opening periods only) within 7 days. 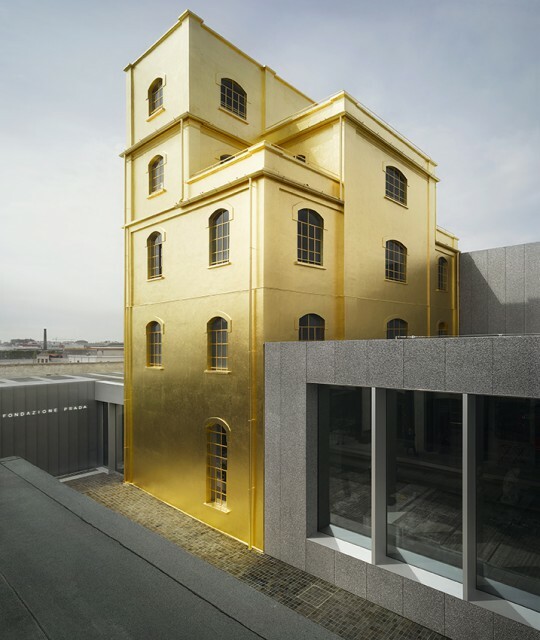 Free admission can be collected presenting the ticket to the desk at Fondazione Prada Osservatorio. The Haunted House is open until 7 pm (last admission at 6.30pm) / Saturdays and Sundays is open until 6 pm (last admission at 5.30 pm). A group can consist of 25 people maximum. The cost of the guided tour is 80 euros in addition to admission fee. Guided tours are offered in Italian and English. Guided tours in other languages (French, German and Spanish, Russian) can be arranged if booked at least 7 days prior to visit. 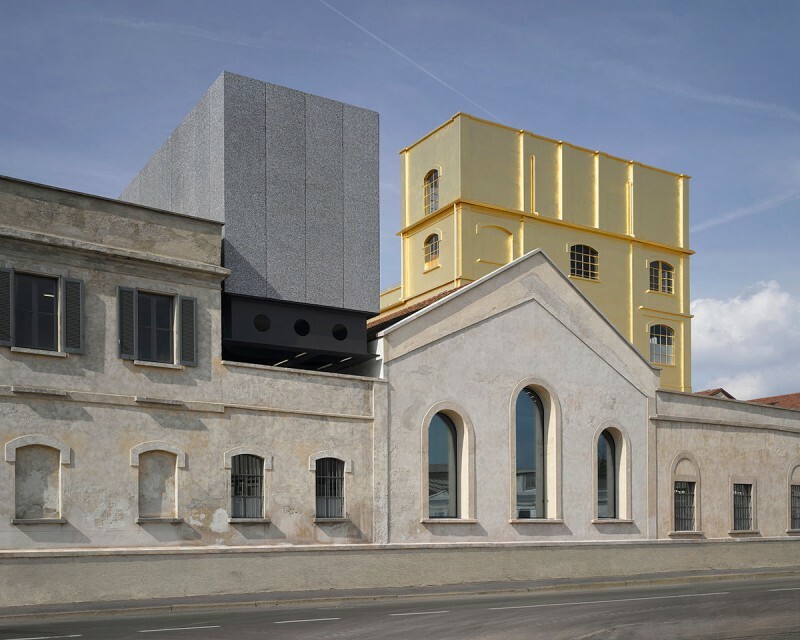 The Milan venue of Fondazione Prada, conceived by architecture firm OMA—led by Rem Koolhaas—expands the repertoire of spatial typologies in which art can be exhibited and shared with the public. 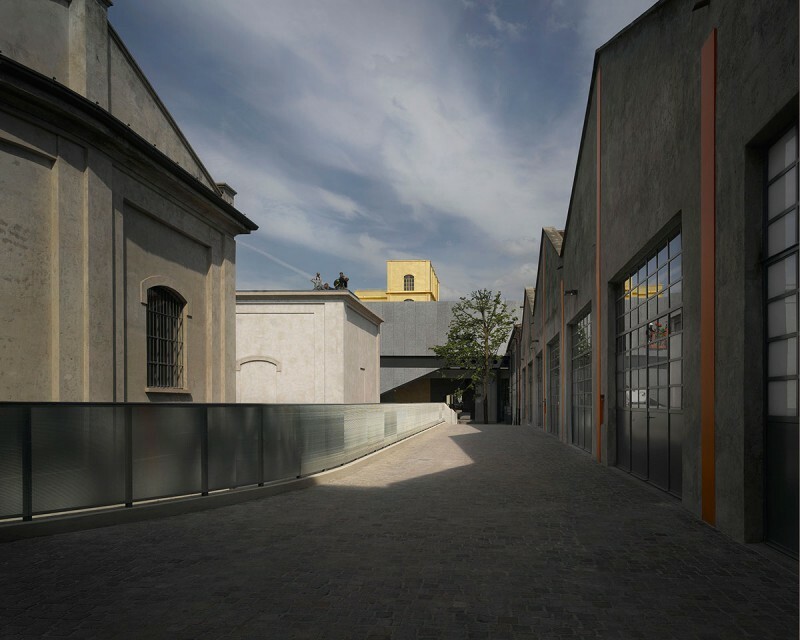 Characterized by an articulated architectural configuration which combines seven existing buildings with three new structures (Podium, Cinema and Torre), the venue is the result of the transformation of a distillery dating back to the 1910’s. 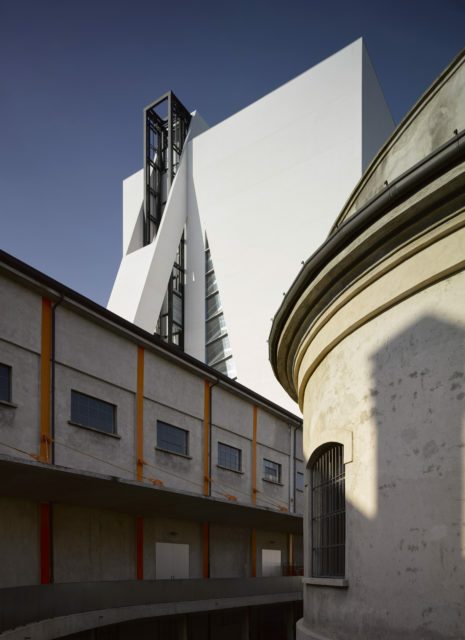 In the project conceived by OMA, two conditions coexist: preservation and the creation of a new architecture which, although separate, confront each other in a state of permanent interaction. Located in Largo Isarco, in the south of Milan, the compound develops on an overall surface of 19.000 m2/205,000 ft2. 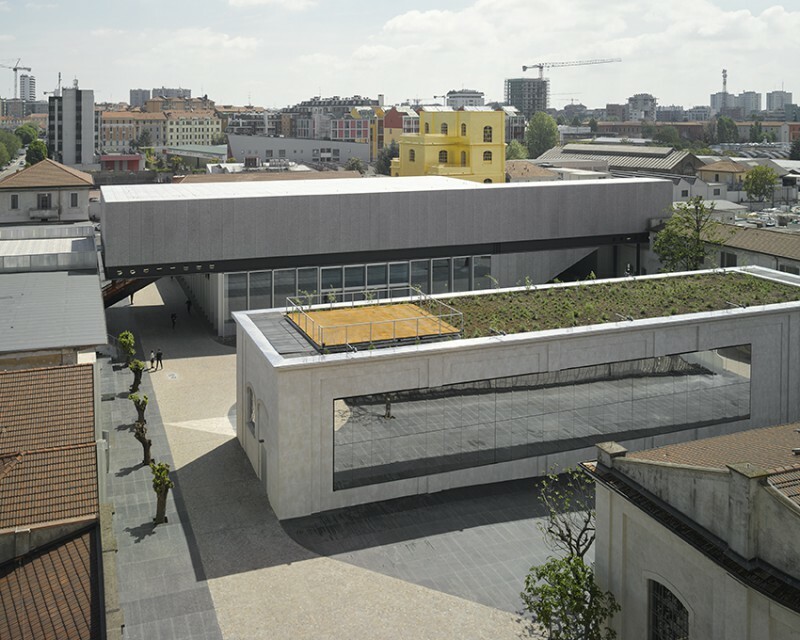 Torre marks the completion of the Milan venue. 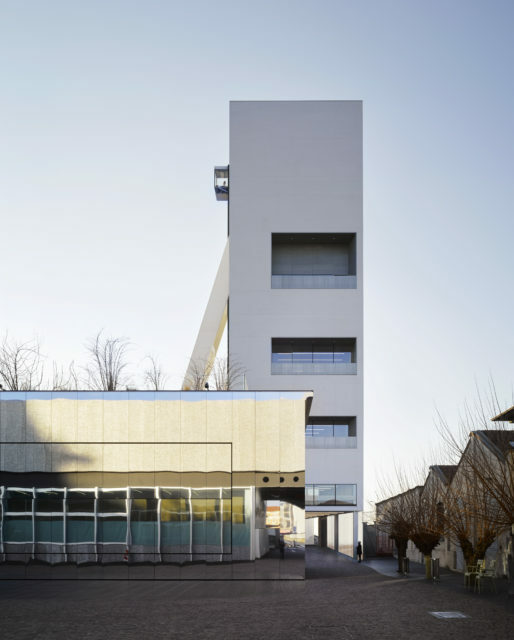 The 60-meters high building is realized in exposed white concrete. Each of the nine floors of Torre offers an original perception of the internal environments thanks to a specific combination of three spatial parameters: plan dimension, clear height and orientation. Half of the levels is in fact developed on a rectangular floor plan, while the other half displays a trapezoid one. The clear height of the ceilings increases from bottom to top, varying from 2,7 meters on the first floor to 8 meters on the top level. 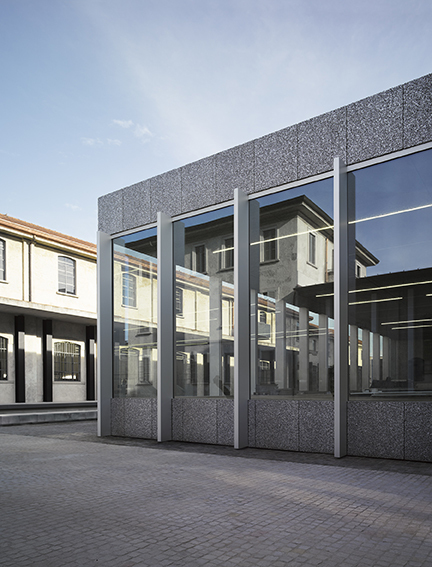 The external façades are characterized by an alternation of concrete and glass surfaces, which allows exposure from a northern, eastern or western side on the different floors, whereas the top gallery space is exposed to zenithal light. The southern side of Torre presents a diagonal structure inside which a panoramic elevator is integrated. 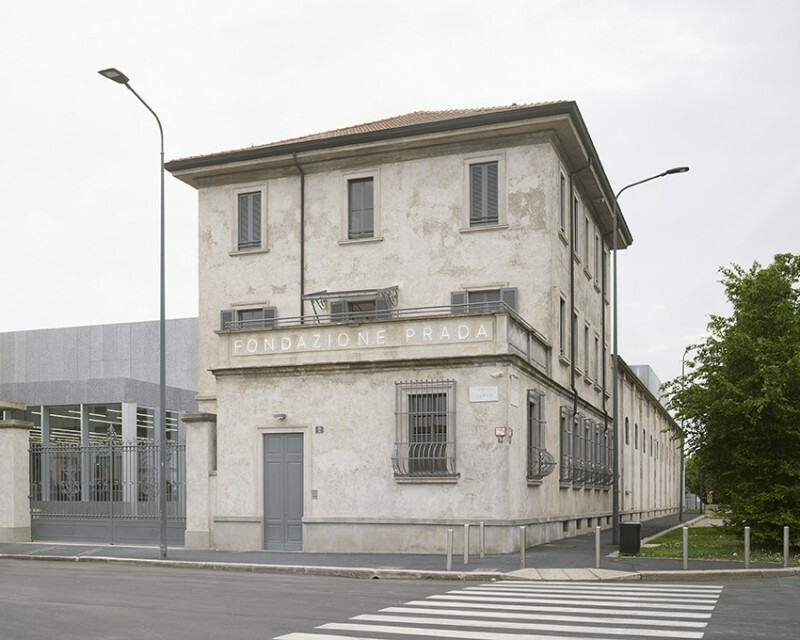 As stated by Rem Koolhaas: “The Fondazione is not a preservation project and not a new architecture. Two conditions that are usually kept separate here confront each other in a state of permanent interaction–offering an ensemble of fragments that will not congeal into a single image, or allow any part to dominate the others. 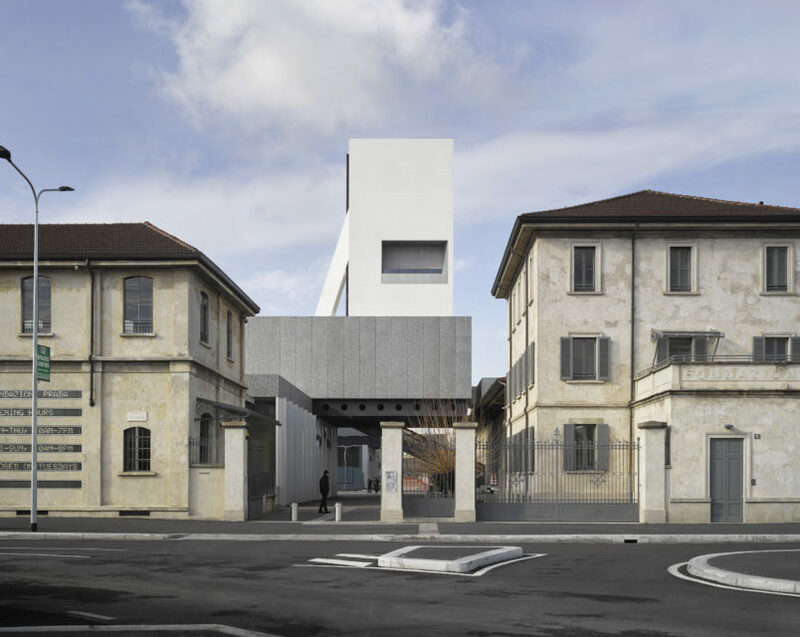 New, old, horizontal, vertical, wide, narrow, white, black, open, enclosed – all these contrasts establish the range of oppositions that define the new Fondazione. By introducing so many spatial variables, the complexity of the architecture will promote an unstable, open programming, where art and architecture will benefit from each other’s challenges”.